If you need a spare battery, I'd recommend the MPJ. I previously got a mpj 3k mah battery and been using it for a few weeks now. I think they're great for the $20 asking price. I use my phone for mainly music and use it 12hrs a day for play music with headphones. By time I'm done, the mpj has at least 70% battery left. The stock battery has around the same. 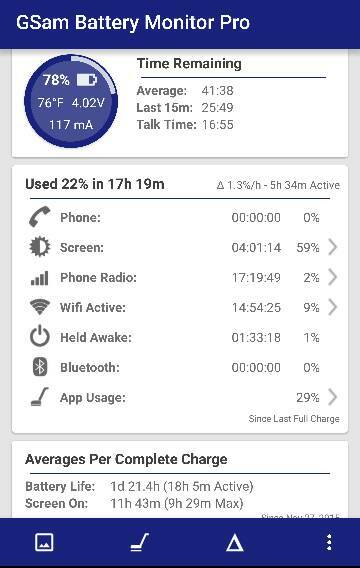 I can also get around 3hrs screen on time by the end of the day. I have also noticed the mpj doesn't seem to get as hot while charging or using the g4 like the stock battery does. I would highly recommend them and for any phone that has a replaceable battery option, I'll buy the mpj from here on out. spacebatt, belodion and NashMob1968 like this. Thank you for the recommendation I would like to consider the 6000 batt. Do you have a link for that one? I've been using the Hyperion 6000 mah, extended battery and it's absolutely incredible. Makes the phone heavier, but well worth it for me. Do you think that mpj batery is safe?? Ican't find site company to insure the authedication..how long are you using this battery?? Frost owners.. are you happy with your color choice? Is there a way to change the background color of the Smart Notice? How do I edit gmail on the S5? How do you turn on Group messaging or Group Conversation feature on SAMSUNG GALAXY S6?